When it comes to the Hip-Hop culture, there are a couple of albums that will go down as the most popular and best selling pieces of art. They come from a wide-range of artists who have perfected their lyrical craft. So, we highlighted the 10 Most Popular Hip-Hop Albums of All Time. Hip-Hop today is highly concentrated with plenty of artists looking to be the next Tupac or Notorious B.I.G. It’s hard to think that every once-in-awhile, an artists will come along and be able to have their name spoken among those ranks. That’s why some Hip-Hop legends truly won’t ever die and why enthusiasts still flock to the classics when they want their fix of the best Hip-Hop has to offer. So, without any further delay, check out our list of the 10 Most Popular Hip-Hop Albums of All Time. 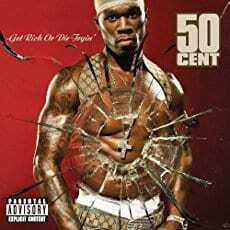 Not only did 50 Cent get his rise from the street popularity of his mixtape 50 Cent Is The Future, he managed to break into the top 10 of the most popular Hip-Hop albums with Get Rich or Die Tryin, selling 8.3 million copies and counting. 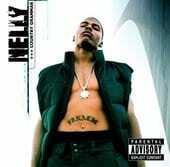 Nelly’s Country Grammar sold somewhere in the excess of 8.5 million copies. 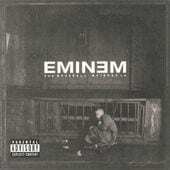 It was regarded as one of the best albums to come from a Southern-style rapper. He was one of the artists responsible for an evolution of radio-ready Hip-Hop. 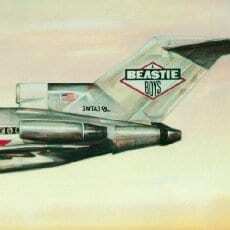 The Beastie Boys’ Licensed to Ill has inspired plenty of artists that came after one of the most groundbreaking Hip-Hop groups. The album sold an excess of 8.5 million copies. Tupac was more than a Hip-Hop artist, he was a poet who loved to point out the struggles he witnessed. 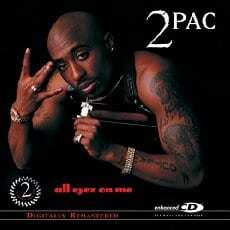 His All Eyez On Me album sold an excess of 9 million copies. 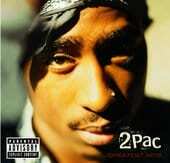 Tupac graces the list for a second time at number 6 with his Greatest Hits album. The album sold an excess of 10 million copies. Hammer’s Please Hammer, Don’t Hurt Em is classic 80s Hip-Hop at it’s flashiest. The funky dance moves and slick lyrics led to the album selling in excess of 10 million copies. 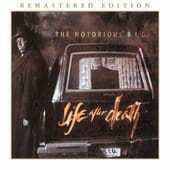 As the East Coast rival of Tupac, the Notorious B.I.G.’s Life After Death is naturally a staple on this list. The album sold an excess of 10.2 million copies. He was known for his undeniable cadence on his tracks and remains a legend. Eminem broke on to the Hip-Hop scene and may have been one of the most controversial artists next to the N.W.A. group. 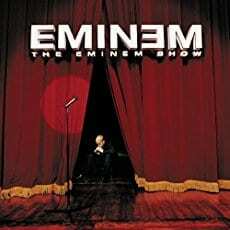 He pushed the envelope and his album The Eminem Show sold an excess of 10.3 million copies. The Marshall Mathers LP is one of the darkest albums that Eminem ever released but it seemed to resonate with his fans and earned him another spot at number two on our list of most popular Hip-Hop albums. 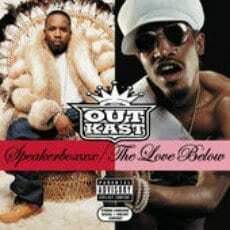 Outkast’s Speakerboxxx/The Love Below double album sold over 11.4 million copies. The combination of André 3000 and Big Boi was perfect for creating a slew of hits, many of which came from this legendary album.